Millions of people today use cars on a daily basis. For most of us, we give little thought to the reliability of our vehicles until they stop working. Sometimes, it may just be a simple flat tire, but sometimes it could be something more complex. 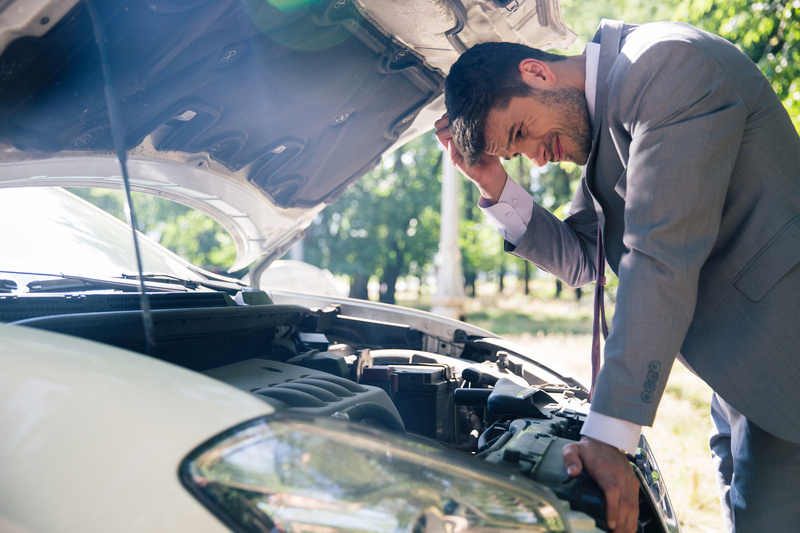 When your car stops working, especially while you are driving, it can be a nerve-wracking experience. Here are the appropriate steps to take when your car has a problem while driving. Pull over – If possible, move your car to the side of the road. If you can make it to the shoulder, move over as far as possible to reduce the risk of an accident. Make sure your hazard lights are on to alert other drivers. Seek help – Depending on the severity of your car’s issue, it will probably be necessary to call roadside assistance. If you have roadside assistance plan, they will work with you to find an appropriate towing company to move your vehicle to a safer location, such as the automotive repair shop of your choice. Wait outside the vehicle – Move away from your vehicle and wait in a safe location. A stopped car along the side of a road, especially a highway, is much more likely to be rear-ended. Moving away from your car and further from the road will help you remain safe while you wait for the tow truck to arrive. Once a tow truck arrives, it will transport your car to an automotive repair shop of your choosing in Decatur. If you only have a flat tire, a tow truck driver or roadside assistance company can help you switch out the flat tire so that you can continue on your journey. If you need more repairs, a mechanic will be able to run engine diagnostics and figure out what exactly is wrong with your vehicle and repair it.